If you follow me on Instagram you might have seen my fall brow preview. 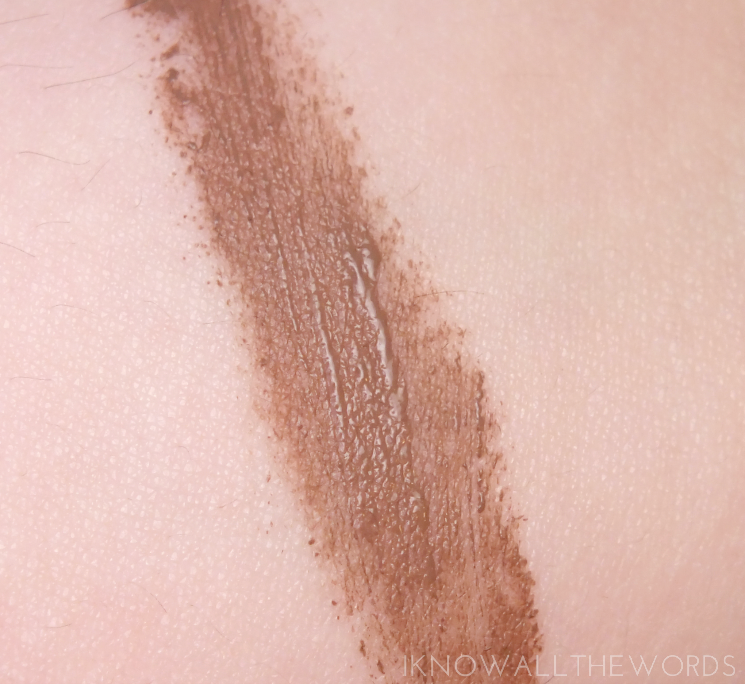 You see, brows are big for fall with quite a few brands introducing new brow pencils, powders, gels and what not. Brow products are one item I always seem to be able to actually finish, so I love trying new options. 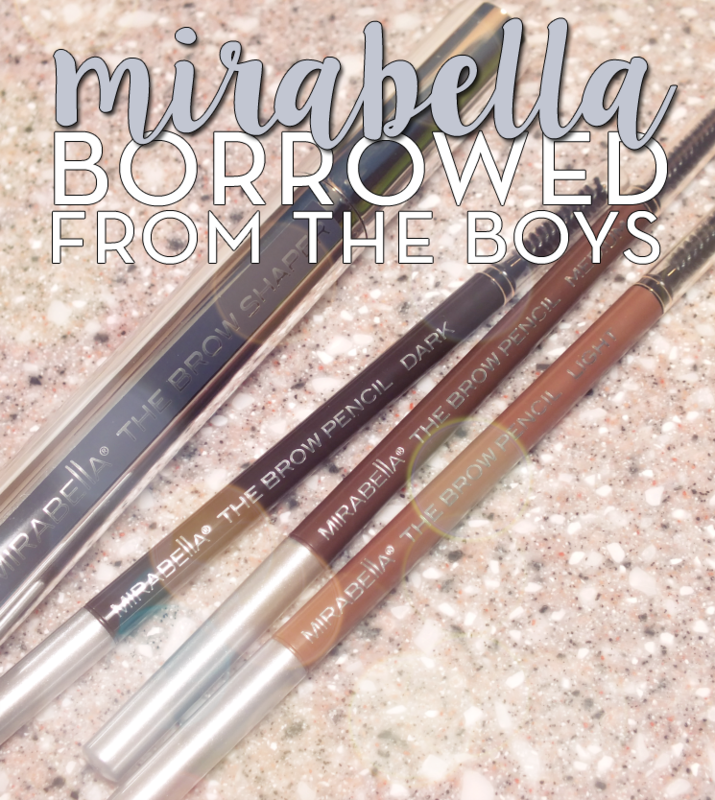 The newest brow beautifiers in my makeup bag come from Mirabella Beauty with their Borrowed From the Boys Brow Collection which features two new products- The Brow Pencils and The Brow Shaper. Read on for a closer look! 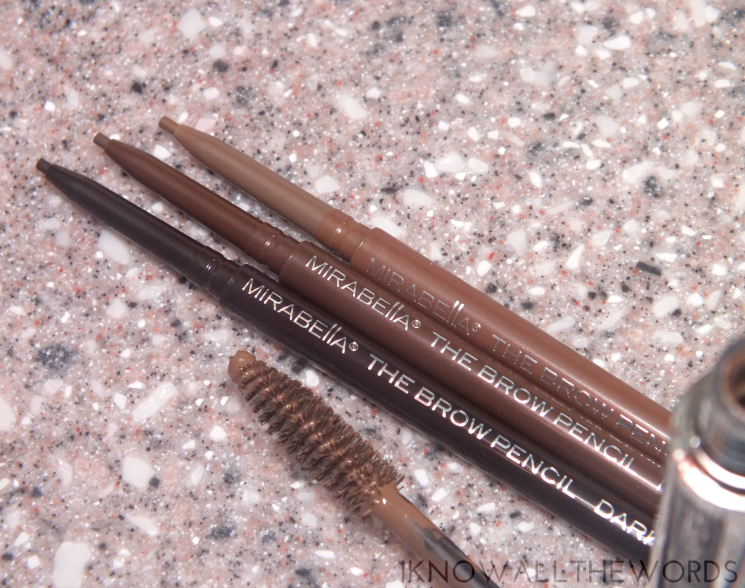 While I use a brow powder most often, a pencil makes the job quick, clean, and easy. The Brow Pencil is exactly that. 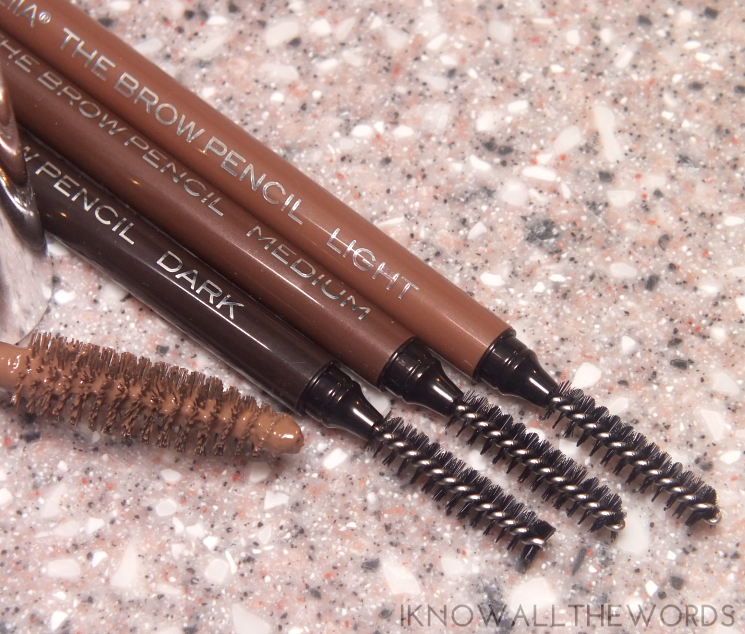 The slim pencil has a nicely pigmented formula that easily creates hair-like strokes for naturally perfected brows. You get a slim spoolie on the opposite end for softening colour and whipping stray brows into shape. 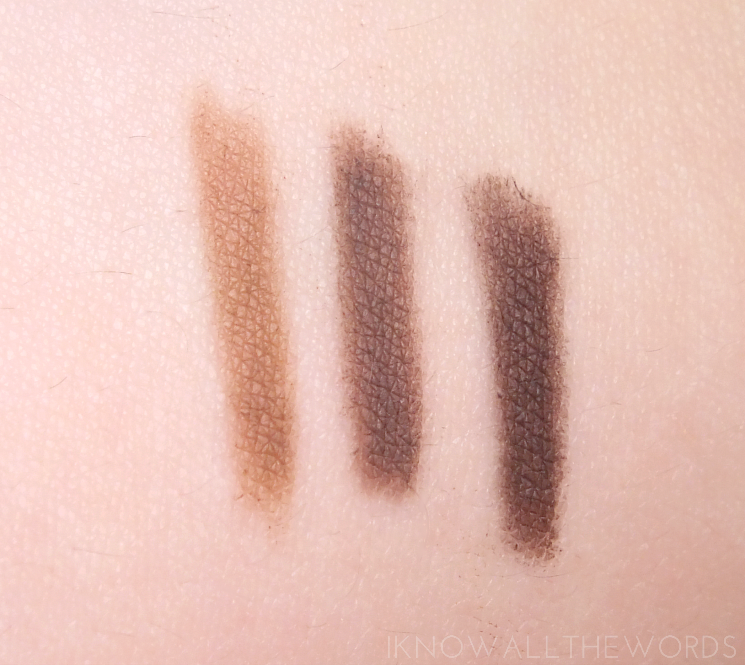 Brow pencils are good, but how about a five-in-one brow product? 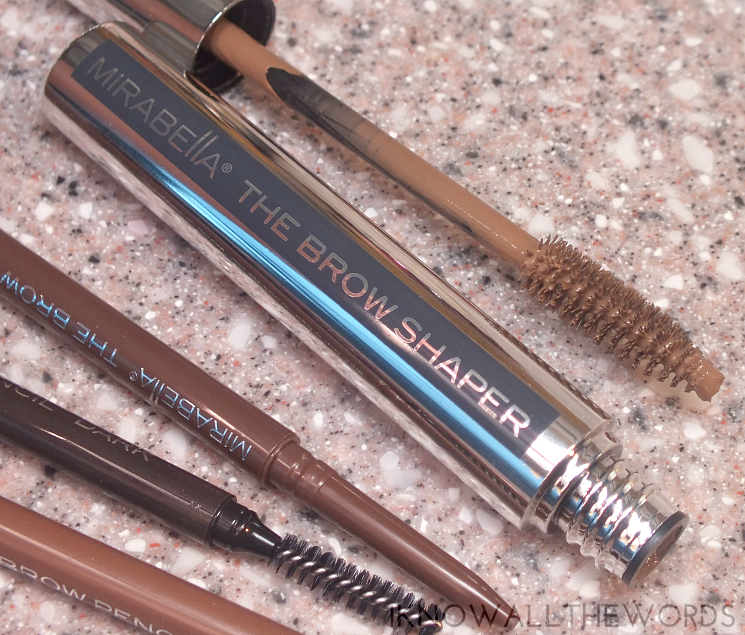 The Brow Shaper is a gel-like liquid that works to shape, define, fill, thicken and set brows. The brown shade is said to be universal, which is almost true, but it could run too dark on fair blondes and doesn't give much colour on darker hair. The gel applies via a mascara type wand. which works quite well, but could be a bit smaller as it meant for brows. The gel gives my naturally black lashes a bit of tint (it lightens them a bit) and holds them in place with a natural finish once dry. The formula dries to a flexible finish that looks perfectly natural (no gloss or stiffness) and works to condition skin and hair thanks to panthenol and vitamin E.
Overall, I really like these brow products! I've been using The Brow Pencil in Medium to fill in the majority of my brows, with Dark to define the tail and deepen them when needed. I then add a bit of The Shaper to set everything in place. 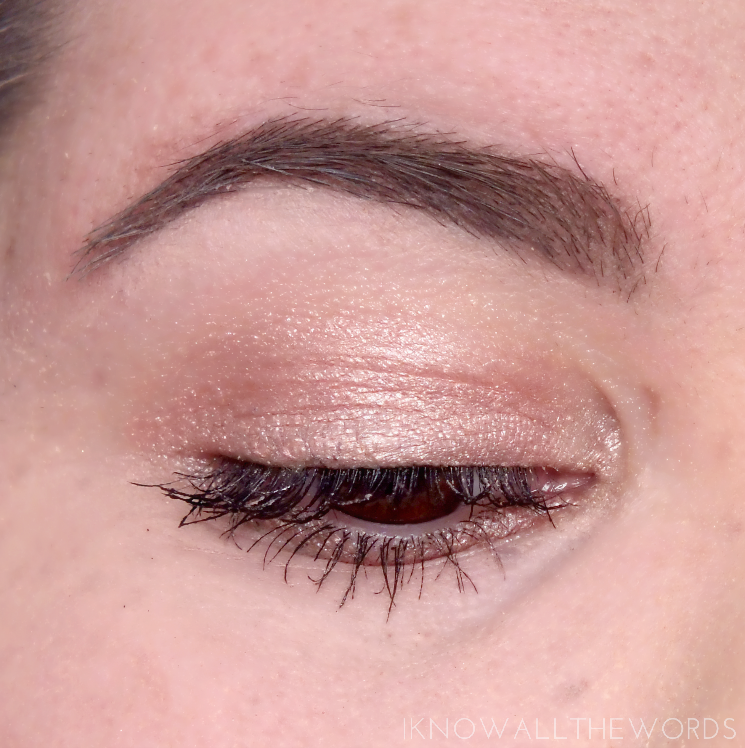 I love that my brows look well-groomed and filled in, but not overly structured or overdone. Tried any of these products? Do you have a brow routine? What's your current must have product ?